Projects that add nutrients to the world's oceans in order to create algal blooms that will absorb more carbon from the atmosphere are scientifically unsound, argues Kristina Gjerde, high seas policy advisor to the World Conservation Union. In this week's Green Room, she calls on delegates at the UN climate conference to halt schemes that could do more harm than good. Current proposals to combat climate change by stimulating phytoplankton or algal blooms in the ocean may violate fundamental principles of international law, as well as common sense. Adding nutrients, such as iron or nitrogen, or pumping nutrient-rich deep waters up into surface waters in the hope that the resulting bloom will provide long-term storage of carbon dioxide, should not be considered as a potential solution to climate change. We first need regulations based on credible science to ensure that the method is safe and effective, and that we can verify the results. Two decades of scientific study have shown that ocean fertilisation offers a low probability of lasting benefits and a high probability of harm. The Intergovernmental Panel on Climate Change (IPCC) considers ocean fertilisation as "speculative and unproven, and with the risk of unknown side effects". Nevertheless, it continues to be touted as a simple solution to climate change. For such a practice to be effective in mitigating climate change, substantial amounts of additional carbon dioxide must reach the deep ocean and, ideally, be incorporated into the sediments. Experiments to date have shown that the amount of carbon actually exported to the deep ocean is small and highly uncertain. At present, it is unlikely that significant and verifiable sequestration will occur. For ocean fertilisation to be safe, and in compliance with international law, it must not harm the marine environment. 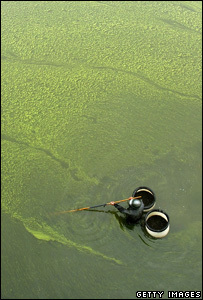 However, possible ecological effects include shifts in plankton community structure that could dramatically alter food webs, creation of dead zones deprived of oxygen as the excess plant life decays, and harmful algal blooms. In addition, the bloom may affect areas far from the original site. One fertilised patch travelled 1,500 km in 19 days, while modelling studies show that adding nutrients to one area can lead to reductions in productivity in other areas. Though it is difficult to predict with certainty, activities conducted in one nation's waters may affect the waters of another state, or the high seas. Similarly, activities on the high seas could impact not only the direct area, but also waters under national jurisdiction and control. Furthermore, atmospheric scientists are concerned that artificially-stimulated blooms could exacerbate climate change by increasing the production of nitrous oxide, a greenhouse gas far more potent than carbon dioxide. This may well offset any benefits from carbon dioxide reduction, while the marine ecosystem side-effects remain. Moreover, additional atmospheric side-effects such as the production of methane, another important greenhouse gas, as well as other gases that are known to influence clouds and ozone, may also result. No evidence has been produced to allay these concerns. Difficulties in actually proving or verifying carbon dioxide sequestration, should it occur, make the current informal and unregulated market for carbon offsets vulnerable to unsubstantiated and unverifiable claims. All this makes ocean fertilisation a highly unfit candidate for carbon credits. Recently, a meeting on the international agreements that regulate dumping of wastes and other matter at sea (the London Convention and London Protocol) urged states to use the utmost caution when considering proposals for large-scale fertilisation operations. It also stressed that "such large-scale operations are currently not justified". The decision of governments at the London meeting could not be more timely, as some commercial operations are carrying out pilot projects of ever-increasing scale. One company is already offering carbon offsets to the public on its website to support its work. The recently published IPCC Fourth Assessment Synthesis Report again confirmed that the effects of climate change are real and that they are already upon us. But in our efforts to find a quick fix, international law and common sense should not be the first victims. 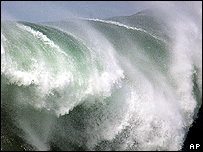 The oceans are complex, dynamic, unpredictable and already vulnerable to the effects of climate change and acidification. We need mechanisms that will build their resilience, not undermine it. The concept of ocean fertilisation needs to be stringently scrutinised through independent peer-reviewed science, not left in the hands of entrepreneurs. During the second week of the UN climate change conference in Bali, governments should apply similarly rigorous standards to all proposed "geo-engineering" solutions. We don't need quick fixes to this global problem that may, in the long-term, cause far more harm than good. The author would like to acknowledge the assistance of Rosemary Rayfuse from School of Law, University of New South Wales, and Mark Lawrence of the Max Planck Institute for Chemistry, Germany. This article is based on a forthcoming publication in the International Journal of Marine and Coastal Law. Do you agree with Kristina Gjerde? Will schemes like ocean fertilisation do more harm than good? Should we wait until the science is proven before embarking on large-scale geo-engineering projects? Or do we need to act now if we are to stand any chance of combatting climate change? yeah! act now! the mess we're in is due to large-scale geo-engineering! the last thing we need to do is diversify our tinkering! we already know what we need to do - STOP destroying ecosystems for short-term gains, and STOP wasting energy! industry should be regulated because they are Major point-sources for most of the factors of 'climate change'. But, world populations should also be educated and encouraged to reduce their own 'carbon foot-print' by purchasing more responsibly and using energy more selectively and/or efficiently. in this age, people should be aware of the power of a distributed network. many small changes could transform the world. change your life before the world changes it for you. Kristina is right to be cautious; interfering with the world's ecology is a dangerous business, but burning fossil fuels at a rate millions of times faster than they are naturally laid down is such a gross disturbance to the natural cycle that desperate measures may be required now. Increased nutrients will probably be added to the world's oceans anyway, as global warming expands deserts and more violent storms carry extra dust over the oceans. Gaia will stabilise the world's ecology eventually; although the new configuration may not include the human species. We must balance the risks. Which means this should go ahead, with caution. Any counter to global warming will inevitably have effects on a comparable scale, which means, vast. Some side effects are positive: I presume more plankton means more fish. Could Global Warming actually be an opportunity rather than a threat?It may force all of humanity to work together for once and may just save us from reverting to type and eventually blowing the planet to pieces.Global warming may be a good thing in perspective ,maybe not specifically for us humans,but for life on this wonderful and unique planet. The amount of fertiliser put in gardens finds its way in to oceans. In fact we should be worried with this amount in terms of its side effects even before we think of fertilising the oceans. We have evidence of side effects of fertilisation in rivers and I think it is unwise to try and conquer nature by artificially fertilising oceans. The wastes we produce in abundance such as dung and sewage are enough sources of nutrients in oceans. The issue of climate change is now clear. The problem is human induced gases. We are destroying our planet only because we want to live a life above what the planet can sustain. If we are wise then we must live within what the planet can sustain. Greed and scientific wisdom has taken us close to destroying our planet, I find it awkward to suggest that science and technology can save us from this path of death without use of common sense. It is indeed time now common sense should prevail above science and technology. Science and technology is t! he major source of greenhouse gases. We should not forget this. I know ruminants are a major source but only because we rear them in large numbers based on our science and technology. I thus agree with the author Kristina. I totally agree with Kristina Gjerde! We do not fully understand the consequences of actions like this. It is madness and stupid - we could be digging a deeper hole! Ecosystems in the oceans are already under threat and we DO NEED TO ACT NOW but in the right way. The greatest protection is preserving and restoring healthy marine ecosystems with their natural biodiversity for resilience and the mitigation of climate change effects i.e a network of fully protected marine reserves through out the oceans and seas. There is enough scientific evidence to show this. In addition oceanic ecosystems are largely oligotrophic or nutrient poor - as are the waters of the jewels of the ocean - the worlds coral reefs which are among the most productive and valuable ecosystems of the world. We need to heed the advice of the people that understand the oceans and seas and implement an ecological network of Marine Protected Areas if we are not going to have seas full of jellyfish, toxic algal blooms, dead zones and scientists trying to stop the consequences of our regrettable actions. Now that would be a great whopping dent in the economy never mind to the priceless value of life! A big problem is the sudden change. Slow enough and anything survives. 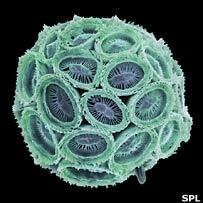 Think about how much phytoplankton would be needed to sequester the trillions tons of CO2 we produce annually. Now remember that this production can only take place when the sun is up. At night, they take Oxygen out of the system. So you now swap the oxygen in the water for plankton growth. Fishes need oxygen, and it only comes in quick at the surface. Most of the depth requires slow diffusion. That aint quick enough to keep the fish alive. I absolutely agree with K Gjerde. We are only just starting to learn about ocean ecology and have no idea what kind of damage this will cause to the marine life. Our efforts should be aimed at a global curb in the amount of CO2 and CH4 being produced. I believe ocean fertilisation should be investigated, as it could prove useful. However, this can only properly be done by governments in collaboration working on a serious pilot scheme. The idea of private companies offering "carbon offsets" is just plain silly and could lead to disaster. Done this way it would just end up as a scam to generate profit for companies pedalling dubious science. Carbon offset projects must move away from attempting to sequester fossil carbon in the biosphere. Good carbon offset project help to reduce our dependency on fossil fuels by generating renewable energy or increasing energy efficiency whilst carbon bio-sequestration projects do little to help move us towards the low carbon economies that we so desperately need. Funding provided by carbon offset projects provide a fantastic opportunity to help transform markets from dirty to clean development, so any project that is attempting to capture carbon in the biosphere is missing out on one of the major parallel benefits of generating emissions reductions.